Ruggles & Jeffery is a national building contractor based in Wickford, Essex. Since 1992, we have been providing national building, construction and refurbishment solutions to our clients in Retail, Education, Healthcare, Commerce and Public Service. Ruggles & Jeffery is highly experienced in new-build projects using cutting edge technology, quality management and an expert workforce. Our experienced Contract Managers work with our clients at an early stage helping with their planning and ensuring that their vision becomes a reality. 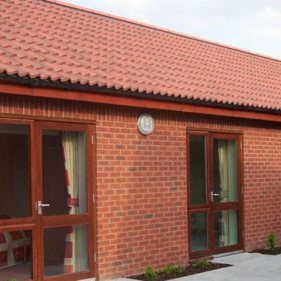 We have experience of delivering new commercial properties, care homes, retail stores, office blocks and warehousing units. We have also produced landscaped gardens, drives and new parking areas. Please don’t just take our word for it. We have many delighted customers from a broad range of industries who have been happy to work with us time and again. Ruggles & Jeffery not only deliver on new build projects but we can offer a refurbishment, fit-out and maintenace service as well.